Descriptive and analytical, the text is designed to offer undergraduate students a balanced and up-to-date overview of who the police are and what they do, problems related to policing, and the many reforms and innovations that have been attempted in police work. 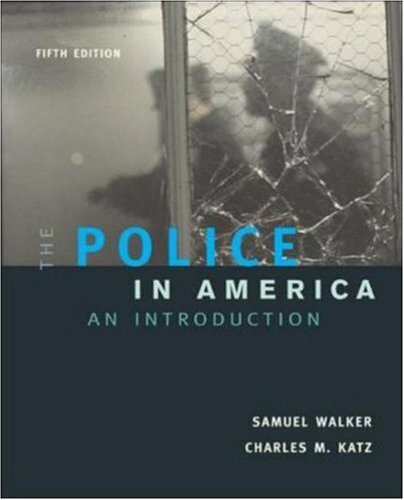 Divided into four parts, The Police in America begins with a compelling analysis of the foundation of law enforcement, including the underlying purpose of police in society, the history of American police, as well as the contemporary law enforcement industry. It goes on to cover everything from the critical role of the beat cop and the fundamental problems in policing to the career path of police officers and a level-by-level overview of police organizations. Using timely articles and excerpts, the author takes readers beyond the headlines and statistics, to present a comprehensive and contemporary overview of what it means to be a police officer. If you have any questions about this product by McGraw-Hill Humanities/Social Sciences/Languages, contact us by completing and submitting the form below. If you are looking for a specif part number, please include it with your message.